Protein makes up the structure of all cells and tissues in the body, including muscle tissue, internal organs, tendons, skin, hair and nails. The 20 amino acids are the building blocks of protein. 12 of these amino acids can be made in the body so are referred to as non-essential amino acids, whilst the other 8 are known as essential amino acids as they must be supplied in the diet. Glutamine is a non-essential amino acid and is the most abundant free amino acid in muscle cells. You must be 18 years or older to purchase this product. Precision Engineered has pioneered the manufacture of premium sports nutritional supplements. Our commitment to quality is the highest in our industry. Every product undergoes rigorous analysis for purity, potency, safety and freshness. We guarantee it! Take 2-6 daily. Do not exceed stated dose. Bulking Agents (Microcrystalline Cellulose, Dicalcium Phosphate), L-Glutamine, Anti-Caking Agents (Magnesium Stearate, Silicon Dioxide), Glazing Agents (Hydroxypropyl Methylcellulose, Glycerine, Colour (Titanium Dioxide). Food supplements must not be used as a substitute for a varied and balanced diet and a healthy lifestyle. If you are pregnant, breastfeeding, taking any medication or under medical supervision, please consult a doctor or healthcare professional before use. Discontinue use and consult a doctor if adverse reactions occur. Not intended for use by persons under the age of 18. Keep out of reach of children. Store in a cool, dry place. Do not use if seal under cap is broken or missing. 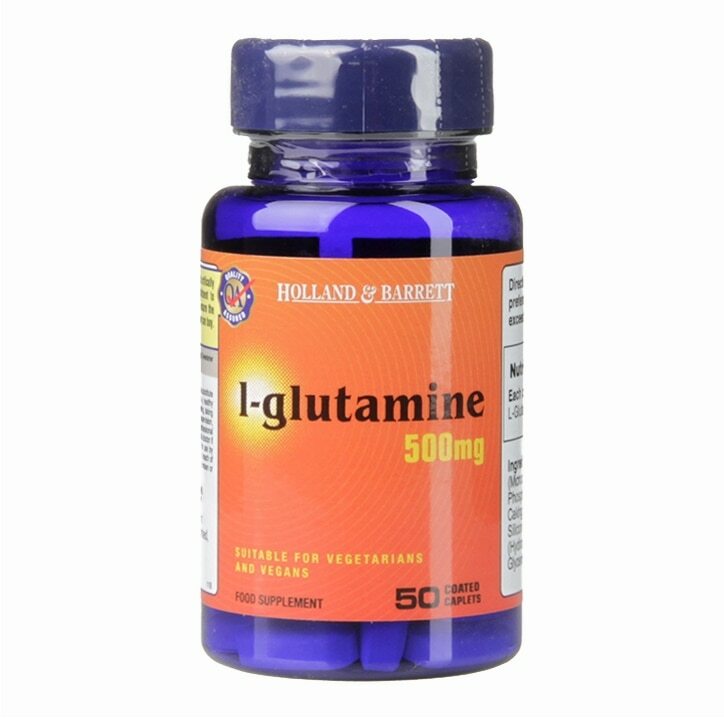 Holland & Barrett l-glutamine Tablets 500mg is rated 4.7 out of 5 by 12.